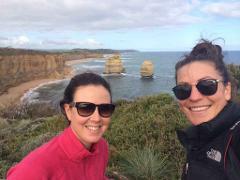 Six Day Bus Itinerary to complete the Great Ocean Walk. Starts Sundays. This is a Self Guided Walk. You stay in Apollo Bay each evening. Bus transfers are provided as listed and you book and pay for your own accommodation and food. 5 Day Bus Itinerary to complete the Great Ocean Walk. A Self-Guided Walk for 'FIT' walkers. You stay in Apollo Bay each evening. Bus transfers are provided as listed below and you book and pay for your own accommodation and food. 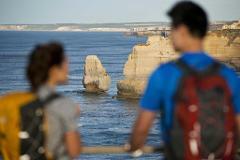 Four Day Bus Itinerary - The 'Mild Side' of the Great Ocean Walk This is a Self Guided Walk. You stay in Apollo Bay each evening. Bus transfers are provided as listed below and you book and pay for your own accommodation and food. 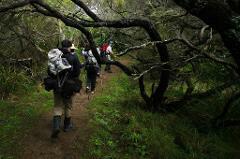 Four Day Bus Itinerary - the 'Wild Side' of the Great Ocean Walk This is a Self Guided Walk. You stay in Apollo Bay each evening. Bus transfers are provided as listed below and you book and pay for your own accommodation and food. 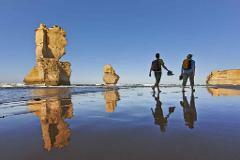 Three Day Bus Itinerary - the 'Mild Side' of the Great Ocean Walk This is a Self Guided Walk. You stay in Apollo Bay each evening. Bus transfers are provided as listed below and you book and pay for your own accommodation and food. 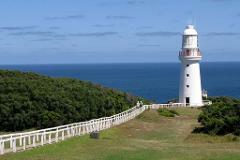 Three Day Bus Itinerary - the 'Mild-Side' of the Great Ocean Walk This is a Self Guided Walk. You stay in Apollo Bay each evening. Bus transfers are provided as listed below and you book and pay for your own accommodation and food. One Day Bus Itinerary to complete the Great Ocean Walk. Friday This is a one day Self Guided Walk. Bus transfers are provided as listed and you book and pay for your own accommodation and food.